That was the question I posed at the last meeting of my Shakespeare class at UNCW OLLI. I was startled to hear from more than one member who answered “Yes”. Lear’s acts of dividing his kingdom and rejecting Cordelia are recklessly headstrong. 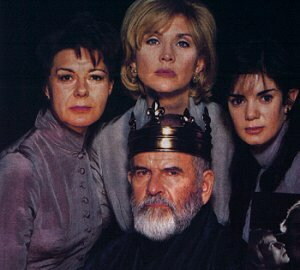 They unleash a chaotic torrent of evil and destruction on Lear, Cordelia, Kent and more. But Lear does not create that evil. Is there any cause in nature for these hard hearts? We talked a good bit in the class about tragic action and how it’s not enough for bad things to happen to the hero. If that’s all it is, it’s melodrama, not tragedy. The hero must do something that causes the deadly consequences. Use every man after his desert, and who shall ‘scape whipping?